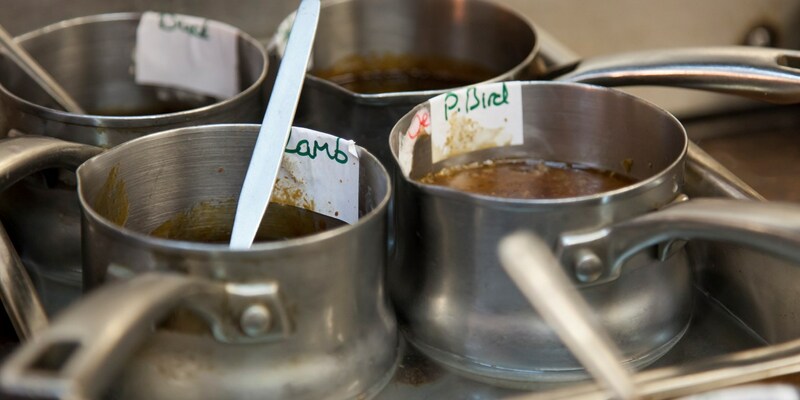 Having a good array of sauce recipes under your belt is a must for any budding chef. From sauce vierge to a great homemade ketchup, sauces are the cherry on the cake of any dish. The sauce world is very broad. First up, we have the classic sauces that often come from the French culinary tradition, such as bearnaise sauce, ravigote, beurre blanc and hollandaise. Although they make seem intimidating at first, it's worth putting in the time to master the classics if you want some really next-level, delicious dishes. Not all classic sauces hail from France, though. Argentinian chimichurri makes barbecued meats sing, while romesco sauce is a revelation daubed over grilled vegetables (we recommend baby leeks or calçots). Desserts can also get in on the action with our selection of sweet sauces. Our easy raspberry coulis recipe is perfect for finishing off summer desserts, while our decadent chocolate ganache is a triumph all year round on a plethora of rich puds.